Many thanks to Jen at Seat 6A for nominating me for the Liebster Award, which is a great acknowledgement for those of us with fewer followers that we’re doing something right! I’ve been following Jen for a few months now and particularly enjoy her Mondays In Maryland and Thursday Through The Lens features. I was nominated for this same award last year and really enjoyed answering the questions. This time round Jen has set some great ones that will hopefully show my loyal readers a larger piece of who I am behind the blog. I also hope that I’m allowed to accept the award twice, but hey, life’s about breaking the rules every now and then! 1. What destination do you most want to visit and why? There are so many! However the trip I’m planning at the moment is a four-week jaunt through Italy, Slovenia, Croatia, Montenegro and Albania in May. It will be somewhat whistle stop due to the age-old problem of wanting to see a great deal but having work annual leave constraints. This year I have the added motivation that I might be going back to live in Australia by July and so have a limited time to see Europe cheaply. I’m planning on exploring Italy’s architecture and history, followed by some hiking and an advanced PADI course off the coast of Dubrovnik. Of course, once this all happens I’ll be writing about it on here! I have many happy memories from travels over the years, but one of my most treasured moments was an evening in the south of France when I was about ten years old. My gran, mum and myself waited until about 1am and then walked down to the beach half a mile from where we lived to watch some meteors that had been predicted to pass. It was a really warm summer’s night and we lay on the sand and waited; by about 3am, the sky was awash with shooting stars – we could barely keep count! Despite all the wonderful places I’ve travelled since and the equally wonderful experiences I’ve had, I think this stands out in my mind the most because sadly, neither my mum or gran are still here with me. I was so lucky to have family that took me to do things like that as a child, and it’s probably what helped spark my love of travel. I’ve just put down Wild by Cheryl Strayed, which has recently been turned into a movie starring Reese Witherspoon. Much more than just a travel tale, Cheryl tells her story of trying to regain herself as a person following the premature death of her mother. Her descriptions of life events, as well as her surroundings on the Pacific Crest Trail, really resonated with me. This book has made me want to don my hiking boots and walk off into the mountains indefinitely! 4. What is your ideal way to spend a Saturday? This is a tough one because it depends completely on where I am. While I was living in Canberra, Saturdays would invariably be sunny and dry – so hiking the ACT’s national parks, cycling around Lake Burley Griffin or going for long outdoor brunches with friends were on the agenda. Now I’m in London, there’s so much to try out that it sometimes becomes overwhelming (Although of course, the weather’s not as kind as Australia!) I’ll usually try and check out a museum, gallery or do some blogging. 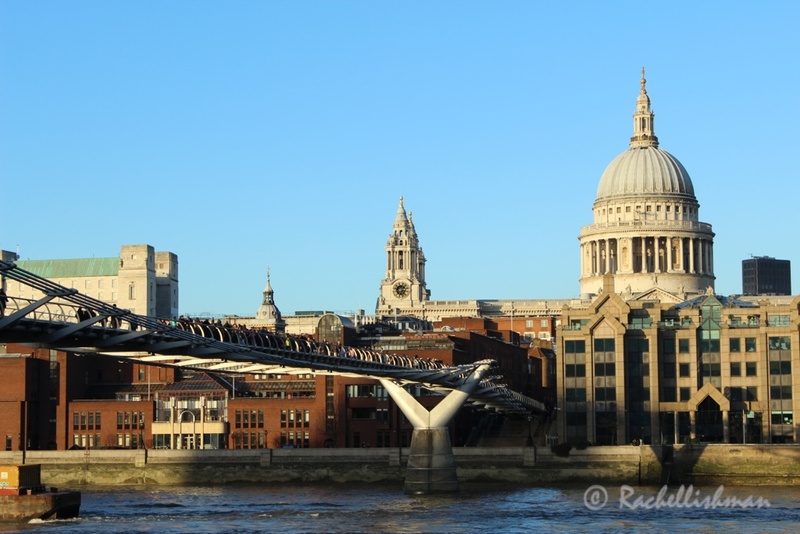 If the weather’s nice I’ll go for a walk in one of London’s many parks or along the river by St Paul’s – for a huge city it’s got some great walking! I’ve lived in France and Spain and ended up doing a degree in both languages. I also studied German at school but that’s pretty shaky these days, so I would say three including English! Although with languages, if you don’t practice them often, you can lose fluency quickly. I try to go to foreign cinema and pick up the odd newspaper when I’m travelling to practise! Obviously visiting the country is the best way to keep up a language and Spanish has a great deal of options. For that reason, Central America and Columbia have been at the top of my list for a while now. I work as a Senior Bid Coordinator in central London for a global consulting company. I often feel that my ‘day job’ is the polar opposite of the person I am on my travels and in my free time, although strangely, I do enjoy it. It appeals to the organiser in me and allows me to practice my writing skills. Of course, it also pays for the next adventure! 7. What do you want to do for a living? 8. What is your favourite cuisine? It’s Tapas without a doubt. As a Friday night treat I buy baguette, serrano ham, olives, chorizo, cheese and red wine and spend all night nibbling! In Extremadura, Spain where I used to live, they let the pigs roam free and chew the bark of a special type of tree – the serrano ham in that region was sublime! One of my major bug bears in Australia was the bastardisation of tapas – I’d go into restaurants after spotting the signage, only to find that it wasn’t Spanish tapas at all, but variations of sushi! 9. What is your favourite outdoor activity? Once again, another toughie! I love the outdoors in general and when I travel, I often try out new sports such as sky-diving and sand boarding. I may cheat a little with this answer, as these days it comes down to two activities, but one is underwater: Scuba diving and hiking. What I love most about these activities is that you can see much more of anywhere you visit than everyone else. 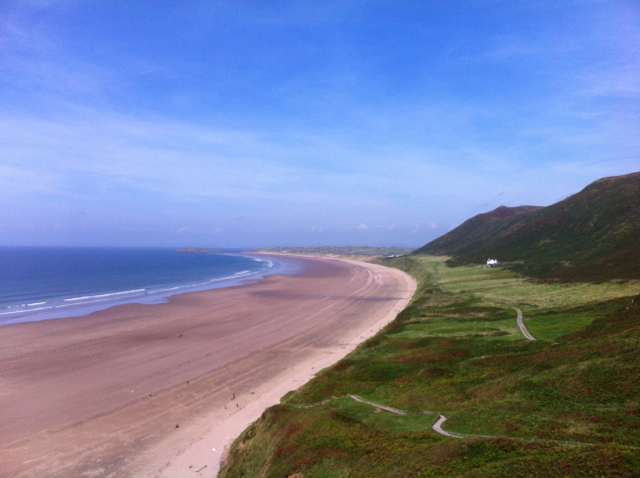 They can also both be done almost anywhere in the world, although one of my favourite walks is Rhossili Bay in the Gower where I grew up. I’ve dived in Thailand, Tasmania, New South Wales and Cyprus. I would recommend everyone get a PADI license as it opens up a whole new world. Wow, for someone who’s made a perfectly viable home in many places (the idea behind the blog!) this is a really tough question. There’s still a huge part of the globe I haven’t seen and I’m not sure whether I’ll ever ‘settle down’ in the traditional sense. If I have to make a decision I would say Australia. The outdoors lifestyle suits my personality and the cities are still really cosmopolitan. The only major downside of life Down Under is how expensive and time consuming it is to fly to anywhere else! …Having said that, I’d also like to try living and teaching English in Columbia for a while! Both! Wine with a lovely meal and beer when the football or rugby’s on!! Vanessa at Sempre Voyager – I only found Vanessa’s blog a few weeks ago and immediately like its clear layout and colourful images. Vanessa has also just written a post about a little-visited Welsh town called Llangollen which I think is worth an award in itself! Vanessa’s posts about Lake Bled, Plitvice Lakes and Kotor have also given me extra inspiration for my planned trip this year. Kate at Travel Far. Eat Well – I love Kate’s writing style and her site is varied – everything from recipes to travel tips! I’ve only recently started following her blog and look forward to reading more about her travels. When you visit a country what takes your interest most: Food, people, history, architecture or the great outdoors? What is the most memorable trip you took as a child? Where are you travelling to next, and why? Mountains, ocean, desert of jungle? Do you use a certain brand of guidebook to plan you travels? Where in the world have you found people most welcoming? You’re given a car for free: What is your dream road trip? Where do you find travel inspiration while at home? Do you have any phobias, and have they affected your adventures? I’ll work on getting my reply done shortly. I’ve really been enjoying your blog also, love the Cyprus articles since I want to go myself next time on my way to Europe so it’s been super useful! That’s great to hear, thank you! I’ll hopefully make it deeper as part of my advanced course and have heard there are fresh water plumes as well which I’ve never seen- looking forward to it now! I hope you will tell us about it on your blog, I can’t wait to read about your diving experience. I haven’t been diving for ages.. I kind of miss it ! badly !